The Cowboys are looking for their first true road win of the season. 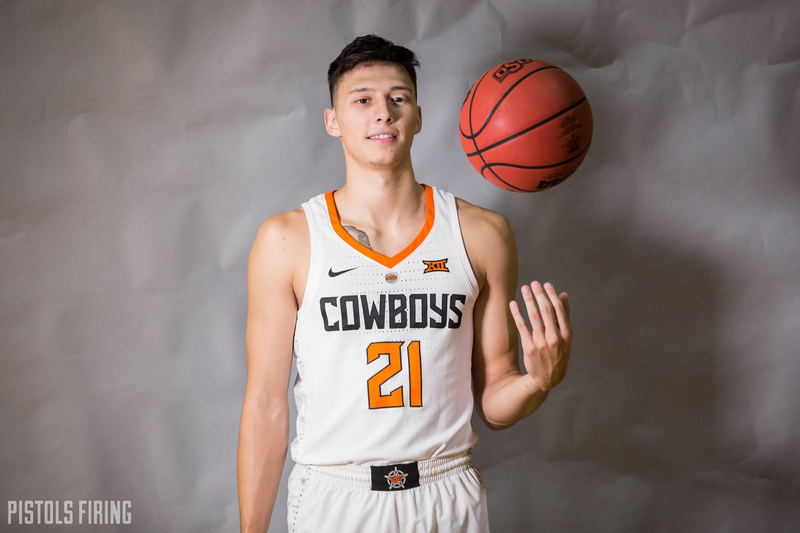 STILLWATER — The Cowboys will get a chance to pick up their first true road victory not too far from home Wednesday night. Oklahoma State has played only one true road game this season, a loss to Charlotte in the Cowboys’ first game. OSU also struggled against Minnesota on Friday. Although that game was considered a neutral site game, the U.S. Bank Stadium is only a six-minute drive across the Mississippi River from Minnesota’s campus. Here are some things to watch in OSU’s first in-state matchup this season. The last time OSU played at Tulsa was a coming out party for the freshman class. On Dec. 10, 2016, Lindy Waters hit a go-ahead step back jumper with 15 seconds left to give the Cowboys 69-67 lead. Thomas Dziagwa hit a pair of free throws after a Tulsa miss to ice the game. The Cowboys were without star player Jawun Evans that night, and Phil Forte left with injury after scoring only 3 points. To counter, freshmen played 112 combined minutes and scored 41 of the team’s 71 points. Boynton, then an assistant, said apart from Waters shot and Dziagwa’s free throws, he doesn’t remember many specifics from the game, but the general play of the young core stood out. Two years later, Waters, Dziagwa and Cam McGriff are team captains, while Brandon Averette and Lucas N’Guessan, the two other freshmen who played that night, have since transferred. That 2016-17 season, the Cowboys had six true freshmen on the roster (five scholarship players and a walk-on). When OSU arrives at the Reynolds Center on Wednesday six true freshmen will step off the bus (five scholarship players and a walk-on). For the time being, it doesn’t look as if this year’s bunch will be called on quite as heavily as the last group of freshmen traveling to Tulsa. Waters said that 2016 game showed the upperclassmen that his group of freshmen were here to play. He said this year’s freshmen haven’t quite had that obvious of a defining moment, but individually, they’ve shown their potential. That Tulsa game was that group’s first game against in-state competition. OSU teams with Waters, McGriff, Dziagwa and Trey Reeves are 7-1 against Oklahoma schools. The Tulsa game started a five-game win streak against in-state foes before the Cowboys finally lost to Oklahoma in the first Bedlam matchup last season. The Cowboys then twice avenged that loss, defeating the Sooners in Gallagher-Iba Arena and in the Big 12 Tournament.